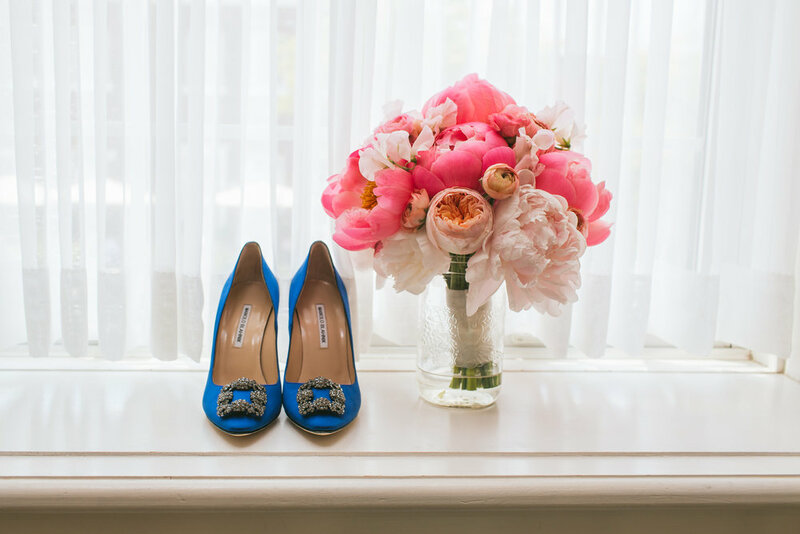 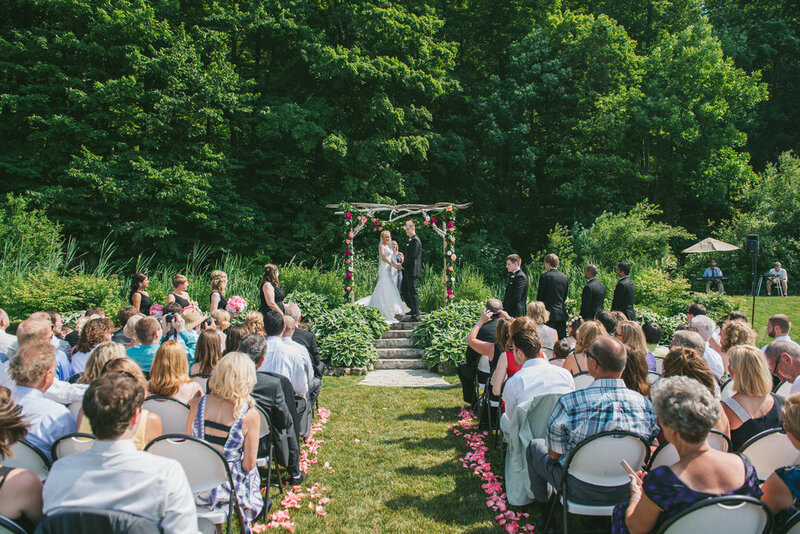 This lovely Niagara wedding captured by Manifesto Photography is feminine, bold, and the perfect amount of pretty. 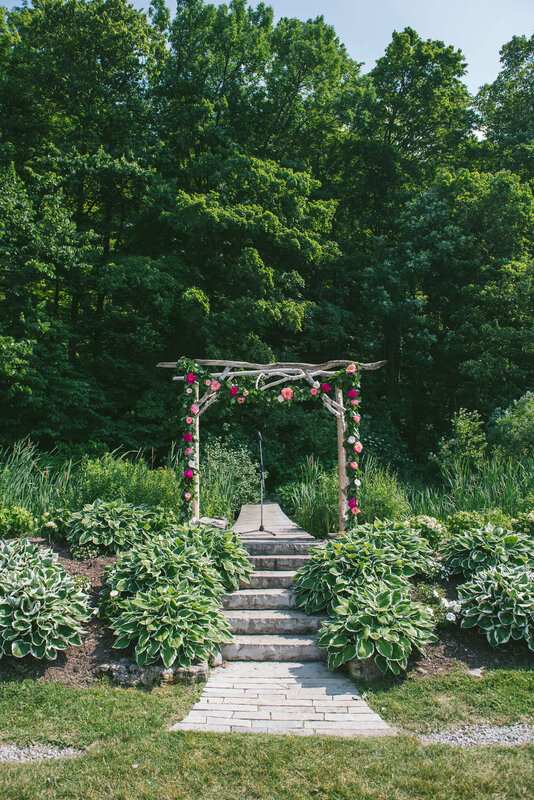 The peaceful ceremony setting at Inn on the Twenty is breathtaking every time, but this chuppah design by Lush Florals just knocks it out of the park. 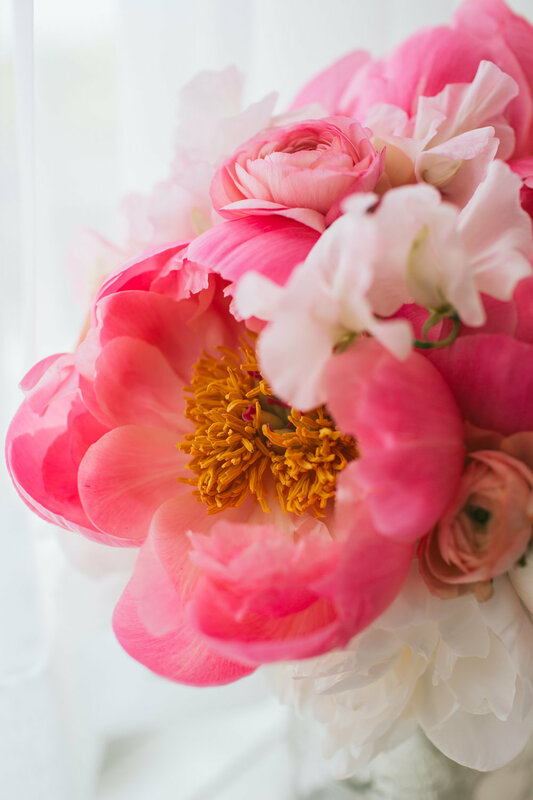 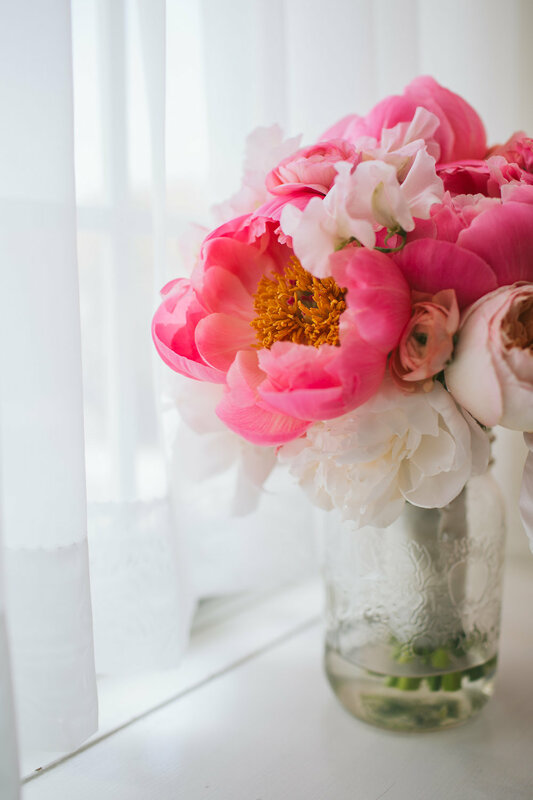 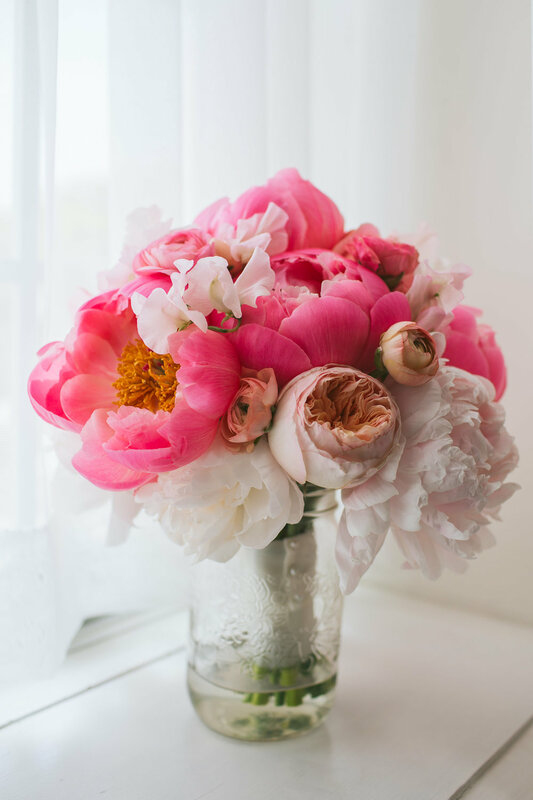 And speaking of florals, these coral charm peony bouquets might just be our favourite thing. 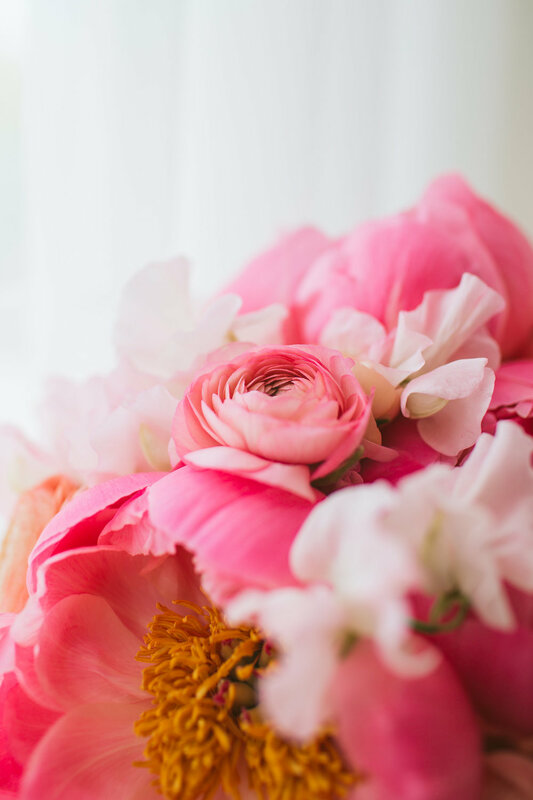 Don't miss the striking head table design of abundant florals and gold glitter linen from Gala Decor, and those adorable gold confetti dots on the guest tables!